On Saturday we made a trip to Galveston because our friend Brad was participating in a sand castle competition with his company. They do this every year. So apparently this Sand Castle competition is a pretty popular event, and what would have taken us 45 minutes to drive from Houston to Galveston, took us 2 and a half hours!! This included us parking about 2 miles away and walking down the beach because the traffic was NOT moving! I can't complain though. It was beautiful day and a walk on the beach couldn't hurt anything. The sand castles were well worth the drive and walk to get to see them. There were 66 different companies competing. So there were a lot to look at. This was Brad's team's display. It was called Around the World in a Day (I think). They got fourth place out of 66!!! Here are just a few of the sand castles I got pictures of. It was so crowded I had to fight to even get these. Ha! As soon as we got to the spot where Brad's company was, Lindsey & I set up shop to start sunbathing. We were spent after our long walk. The boys played some football in the water, and I'm sad to say I didn't get any pictures of the hilarious action. 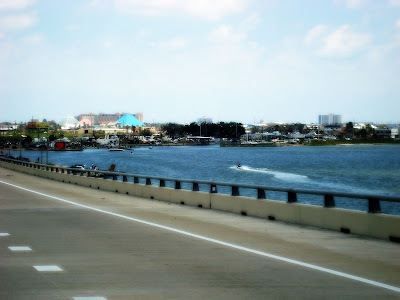 Ok, so this picture totally reminded me of the first time we ever came to Galveston the first time we lived in Houston. The funny thing was we went with Brad & Lindsey, who didn't live here at the time! 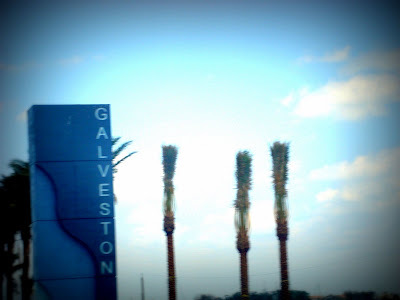 We actually haven't been back to Galveston until now. Here's a picture from the first trip. It was in December of 2006. Obviously not a very popular time for people to go but we wanted to check it out. Plus, the weather in Texas isn't really cold in December. This is a similar shot to the above picture but Ryan of course was being silly. There is a story behind these pictures. The first time we were here we decided to get an action shot on the beach which is pictured below. I'm not sure if we can ever top the first picture but it's now become a tradition for Linds & I do jumping shots on the beach. The boys tried to get in on the fun too. Their pic was totally not as cool as ours! Still hilarious though. Brad & Lindsey in front of his sand castle display. I thought I would throw in some pictures of them from the first time they were in Galveston since we are on a trip down memory lane. I really think this trip sealed the deal on them wanting to move to Houston (in my humble opinion). This was another fun filled weekend in the south. Come visit!! Anyways, that looks like a really fun time and the sand castle was very impressive. Tell your friend congrats on 4th place.